There are different positions to morally unite. We can unite at the same rhythm/level or try to force a divided “unity”. If we want to climb and unite together on the same level then the people down below need to rise up to where the people above are. Ex: 4 different paths that people are creating in. Each group is on its own separate path, even though we are all walking on the same hill (life). 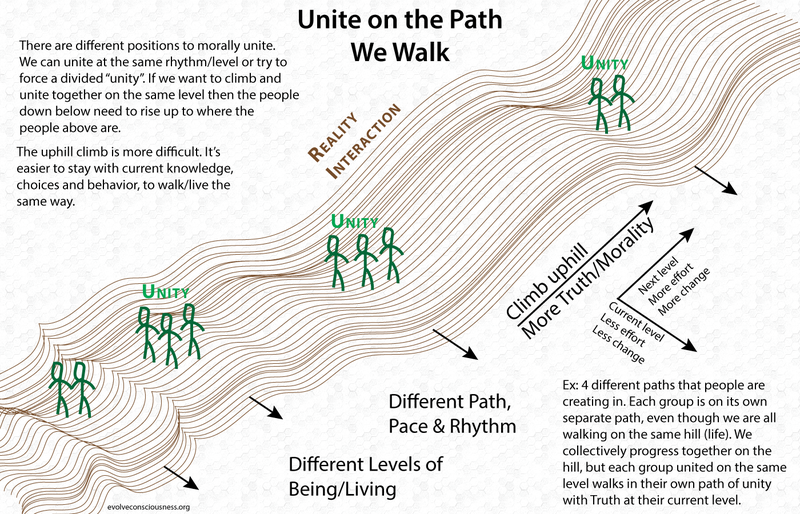 We collectively progress together on the hill, but each group united on the same level walks in their own path of unity with Truth at their current level.